Pismis 4 is an open cluster located at RA 8hr 34m 23.6s and DEC -44d 17m 36s at a distance of ~1930 light years in the southern constellation of Vela. There are ~45 stars identified in the cluster with the brightest at mag 7.3. 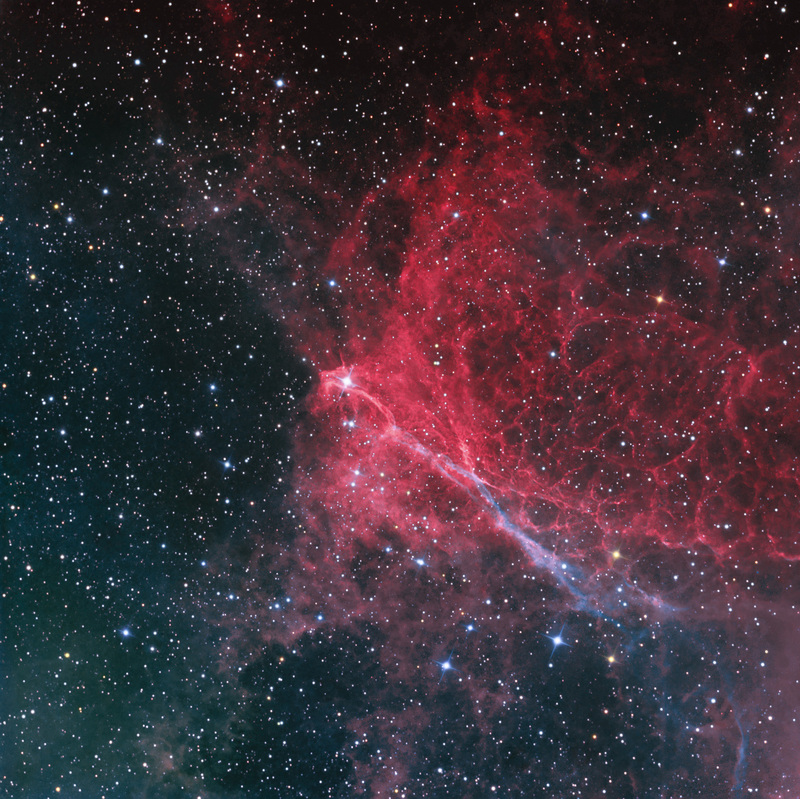 This cluster is at the edge of the Vela supernova remnant, as indicated by the intricate texture and filaments brought out by the narrowband filters. Paris Marie Pismis was an anstronomer of Aremenian descent (1911-1999) who studied open clusters in Mexico and was the first woman to graduate from the scientific faculty of Istanbul Unviversity. The image is ~41 x 41’and North is toward the upper left. Astrodon 5 nm H-a was mapped to magenta/red and 3 nm OIII to blue = green. Stars colors were blended in from RGB data. Data were acquired automatically with CCDAutoPilot4 running MaximDL4.62. Data were calibrated and processed in CCDStack and Photoshop CS3.